It’s cloudy today. After a very sunny summer, the landscape outside now looks dull and uniformly gray. But is it really? Not at all! There is still plenty of light and dark. After all, if there really was no light, it would be completely dark. Simply because the light is diffused by the clouds, doesn’t eliminate it. It requires just a little more effort to see the values that are there. One of the best ways to do that is to squint. Squinting simplifies the view. It enables one to see the basic shapes and the essential values. Look around you now and try it. Although we always go to the subject to inform us how to draw, it doesn’t mean we have to draw everything we see. If we’re side-tracked by the details – the leaves on a tree, or blades of grass in a meadow – it’s important to simplify. 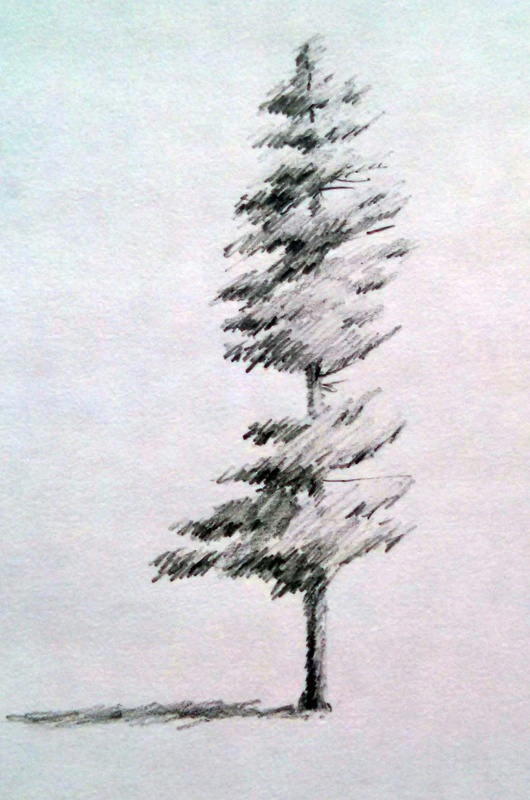 It doesn’t take every leaf to describe a tree, but the value of the leaves as they move around the tree will clearly express the form of the tree. By squinting one can instantly see where the darkest darks and lightest lights are. Shapes are more apparent and form becomes obvious. 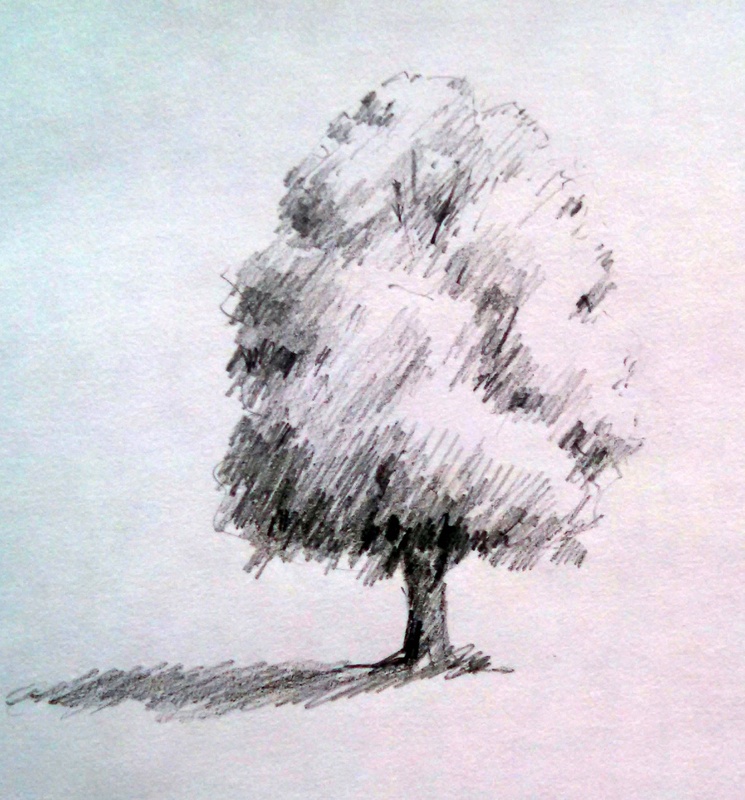 Here are a couple quick tree drawings that demonstrate how values define shape.